The South Korean government recently confirmed that they will soon start allowing institutional investors to participate in the ICO market. 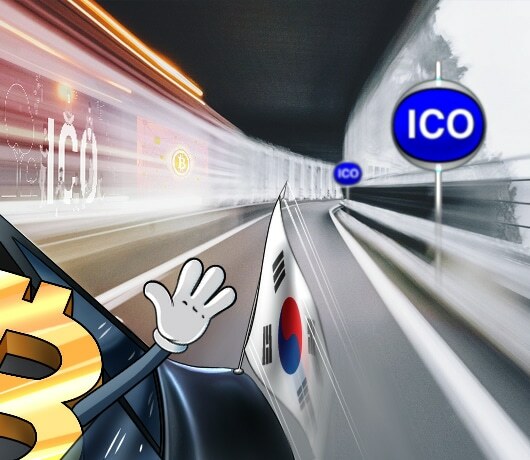 The South Korean media outlet, Chosun, recently reported that the South Korean government intends to allow institutional investors to participate in the initial coin offering (ICO) market. However, the activity will be subject to several regulating policies. According to the media outlet, several finance regulators and government agencies have teamed up in order to create a regulatory framework specific to institutional investors looking to expand to the ICO market. Agencies confirmed to be involved in this initiative include the Financial Supervisory Commission, the South Korean Ministry of Strategy, Fair Trade Commission, Financial Services Commission, and the Ministry of Justice. The task force will be focusing on certain main issues common to the industry, including the establishment of t taxation system for Bitcoin investors, as well as creator stricter Anti-Money Laundering (AML) and Know Your Customer (KYC) policies, while at the same time creating an environment conducive to institutional investment in the ICO industry. According to a spokesperson for the task force, the agencies are currently investigating the possibility and subsequent impact of implementing stricter regulatory policies. The spokesperson added that the government is likely to implement stricter regulatory policies in an attempt to protect ICO investors. However, despite this move, the spokesperson emphasized that general citizens will still be unable to participate in the ICO industry. In addition, all potential institutional investors will be subject to capital requirements as outlined by the country’s Financial Supervisory Commission. ICOs have become increasingly popular in the last year, however, the popularity also gave rise to several fraudulent ICOs where investors lost a great deal of money. However, despite the fraudulent ICOs, Vitalik Buterin, the co-founder of Ethereum, stated that ICOs remains one of the best ways for any startup to raise millions in capitals by using the peer-to-peer system. Considering ICO’s decentralized nature, it could perhaps be damaging for a country to make ICO participation exclusively available to institutional investors. The danger exists that increased regulation from governments across the world could discourage startups looking to launch their own ICOs and limit market competition. The South Korean government never planned on subjecting the cryptocurrency industry to any sort of regulation. According to the country’s financial regulators, imposing regulation on the industry could perhaps mislead the public into thinking that the country is accepting of the industry. However, this initial attitude has rapidly evolved, especially as the Bitcoin price kept skyrocketing and the demand grew in both the South Korean and international markets. According to a government official interviewed by Chosun, the South Korean government will look to other countries who are considered world leaders in the industry, such as the US and Japan. The South Korean government intends to use these countries as case studies in order to establish their own policies for the industry.